One of the local elementary schools has a resource center with a laminating machine. We can also spiral bind books. I decided to combine both features because the prices are unbelievably cheap. I used laminated pages and had them bound to a file folder. If you don't have access to these types of machines you can always use clear contact paper. 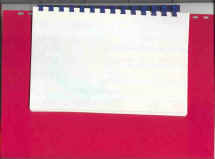 I cut the tabs off of a red file folder to get a rectangle. I laminated several pages of white cardstock. I cut each page in half. Then, I had them all bound to the file folder. Because of the machine's size I couldn't do it as planned. Instead, I settled for turning the file folder vertically and binding the laminated pages on the top of the folder, in the center. 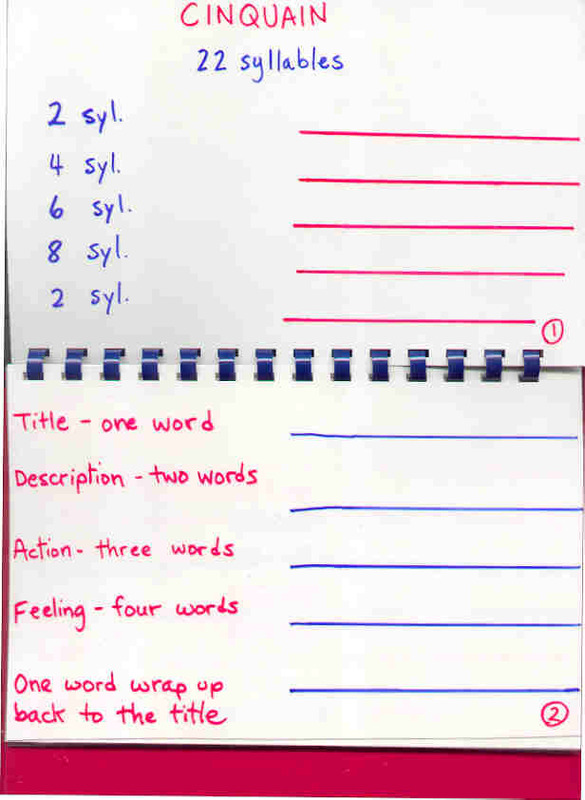 The overall effect is that we now have a reusable lapbook that works like a spiral notebook. I left the front page blank. I change what I write here. We use wet erase markers and then wipe off easily with a damp paper towel. The inner pages are written on with permanent marker to provide the guidelines. Here you can see the Cinquain and Limerick pages. I also have pages for Haiku and Diamonte style poems. There is a lot of space on the folder itself to add pockets or mini-books. I did not cut the folder in half. It only looks that way from the pictures. The folder actually closes up with the white sheets inside. One of the things I plan to do is split up poems we are memorizing into index cards. Each card will have one sentence, or even one couplet. 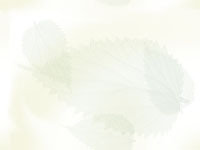 The activity will be to read the poem pieces and put them in order. I'll also give my son poems to analyze. I'm toying with the idea of adding laminated pictures to his folder for writing shape poems. 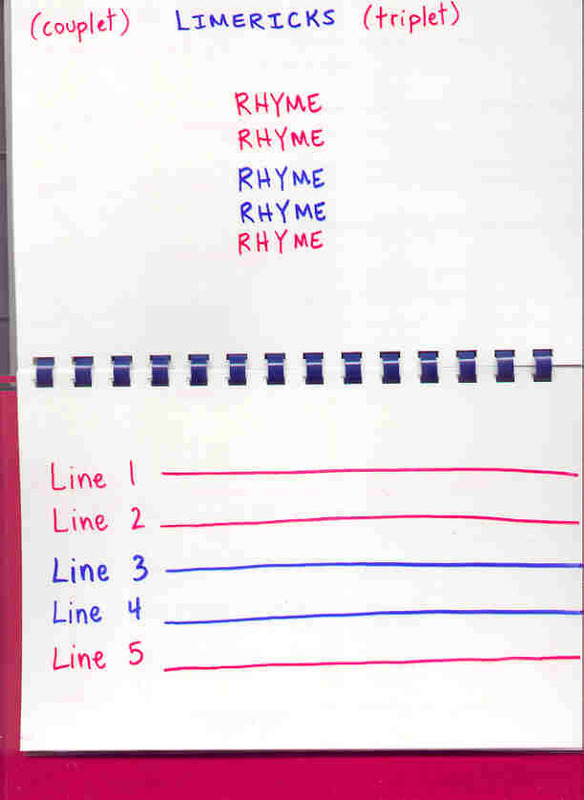 There are a few blank reusable white pages for freestyle poems. I don't know how much this whole *poetry* thing will catch on. For now I'll leave the lapbook as it is. If you have suggestions for me please email me. Thanks.